Contemporary style, V-shaped metal base. 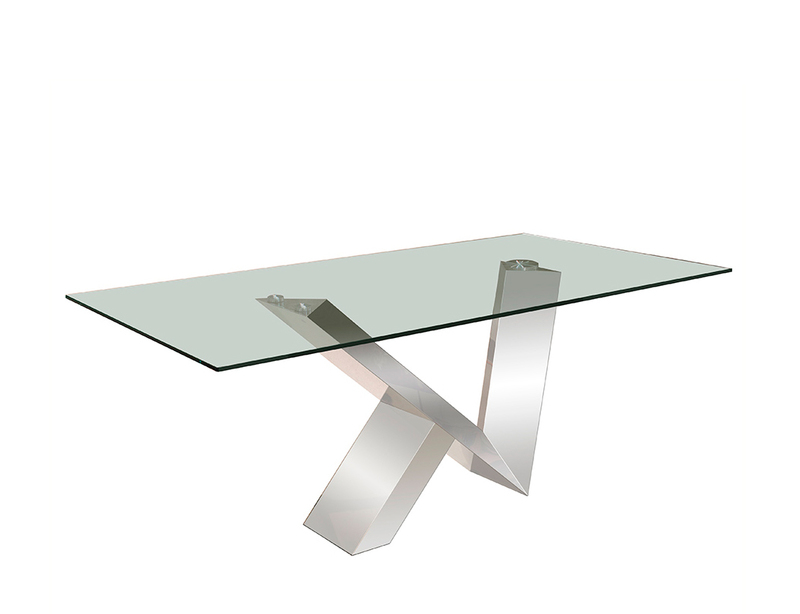 The Vern table is a beautiful combination of stainless steel and glass. 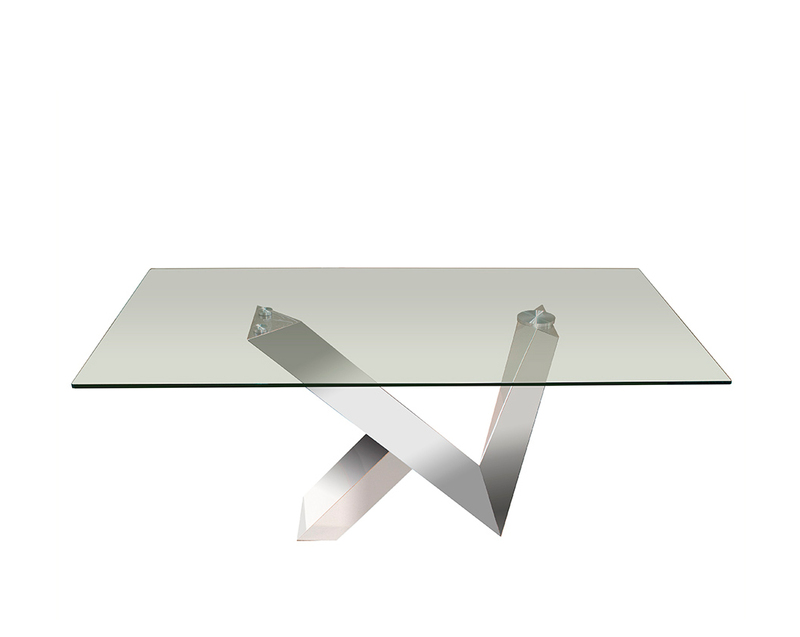 The clear glass rests on a v-shaped metal base. 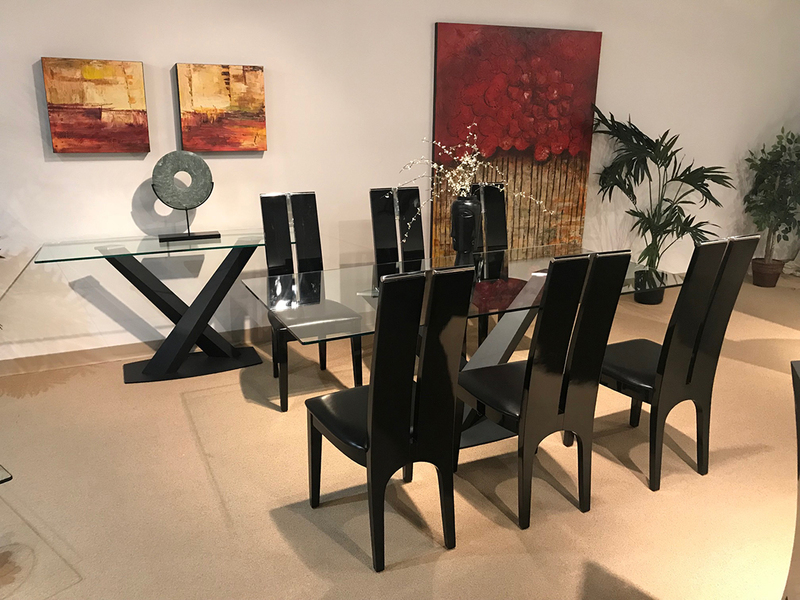 This modern table is a stunning addition to any room. 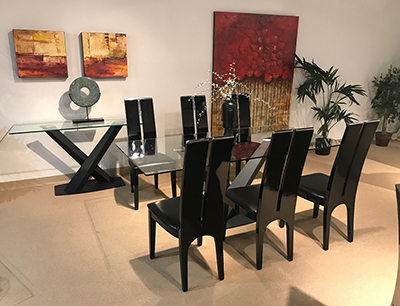 The Vern dining table seats eight comfortably. Modern style, Tempered Glass top.